Choice sums up Credo Online Reference Service: "...Essential. All libraries. All levels." 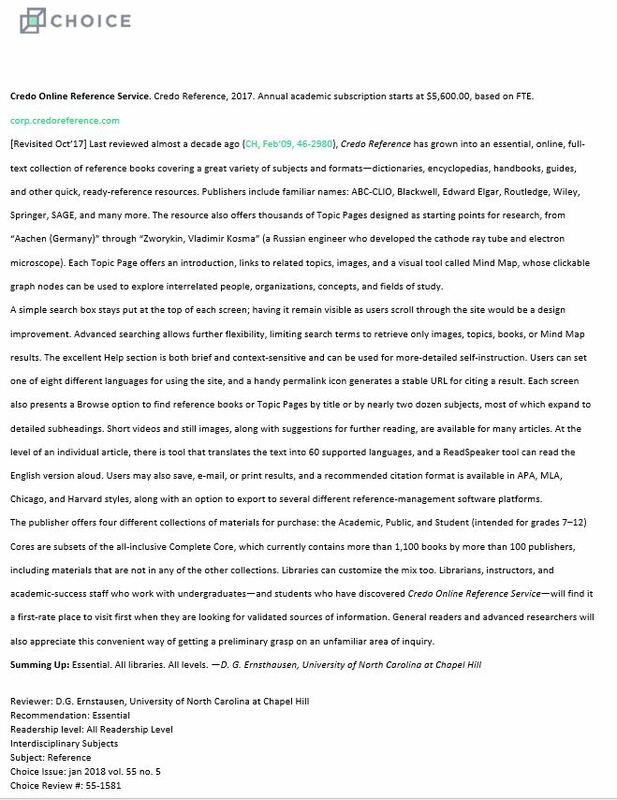 Read the full review to see why "librarians, instructors, and academic-success staff who work with undergraduates—and students who have discovered Credo Online Reference Service—will find it a first-rate place to visit first when they are looking for validated sources of information."